AMERICAN MISSING IN JAPAN: Anderson spoke with two families whose daughters are missing and also shows another American who hasn't been found. Some exciting news to look forward to. Anderson along with Piers Morgan and Richard Quest will be covering the royal wedding throughout April including a live seven hour broadcast on 4/29, the day of the wedding, from 7 PM to 2AM. 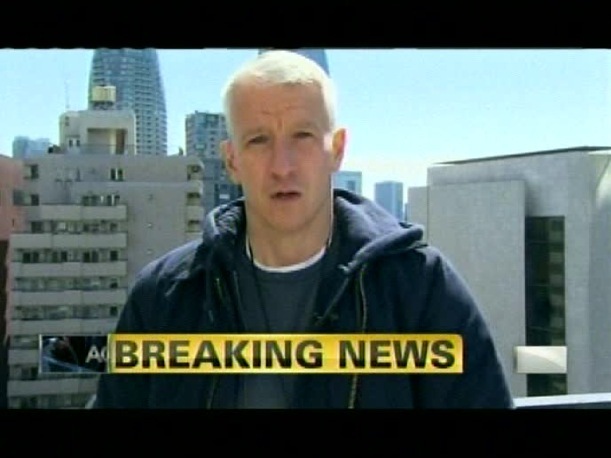 AC360 will be live from London beginning on 4/27 and will continuing through 4/29. Here's the article. 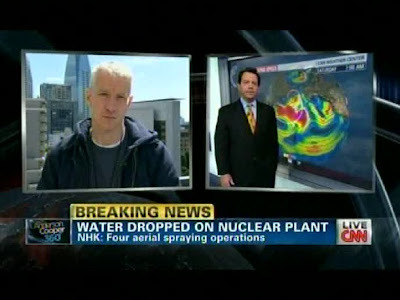 •With his AC360 broadcasting from Japan, CNN’s Anderson Cooper snatched a title Tuesday night that usually belongs to Fox’s Bill O’Reilly: the highest rated show on cable news. Among viewers 25-54, the prime demographic for advertisers, Cooper had 917,000 viewers 25-54 at 10 p.m. and 975,000 at 11 p.m., easily outpacing O’Reilly, whose 8 p.m. hour attracted 787,000. At 11 p.m., when AC360 faces O’Reilly’s rebroadcast, the gap was wider, with O’Reilly attracting 626,000. Among total viewers, O’Reilly stayed on top, with 3,506,000 viewers at 8 p.m., more than a million viewers ahead of Cooper’s 10 p.m. show, which had 1,916,000. •Overall, Fox News won primetime, (narrowly beating CNN among viewers 25-54 and more widely beating CNN among total viewers) and MSNBC, widely criticized for its decision to stay with taped programming as the Japan story’s magnitude became known, was a distant third. MSNBC’s usually strong performers, Lawrence O’Donnell and Rachel Maddow, both struggled, failing to reach the levels of CNN’s lowest rated shows. 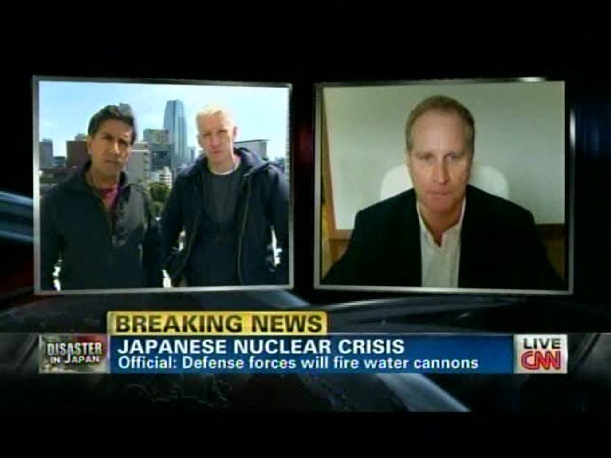 Was glad to see Anderson and Sanjay in Tokyo. Why am I not surprised that Anderson doesn't know how to read his radiation detector? Typical Anderson. I think he's technology challenged. Hopefully though he understands that if it beeps that is bad. 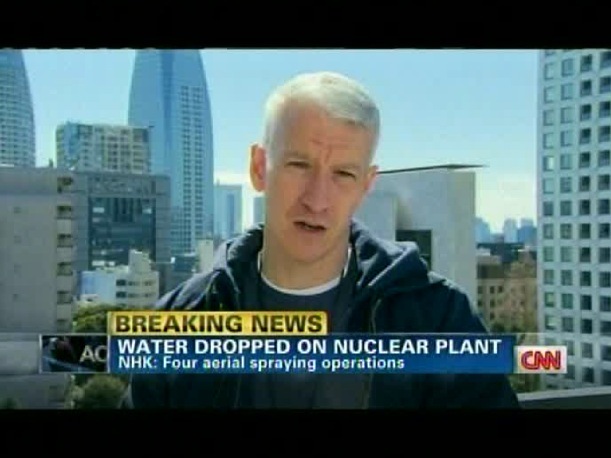 I think Anderson ought to come home too. He's not doing any field reporting. What he did last nite he could have done from the studio. Looking forward to seeing Andeerson's coverage of the Royal Wedding. 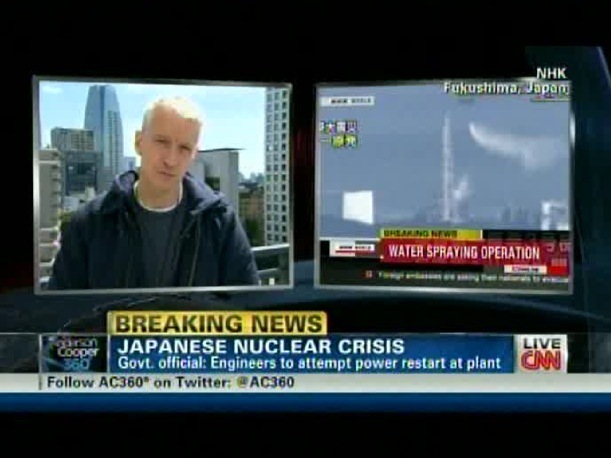 Glad to see that AC "snatched the demos away from O'Reilly," with the coverage on Japan. I find myself engrossed in the coverage so others like myself, who usually reach for the remote, must find it just as engaging. Having said that, it is a disaster of major proportions and Fox is not covering it to the extent CNN is and MSNBC hasn't done much at all except read headlines. AC and Sanjay are on the ground which makes for exciting news, in as they say in "real time." 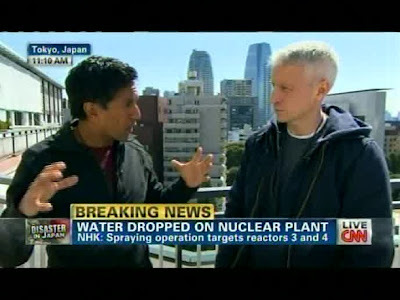 Was glad to see AC and Sanjay in Tokyo where we actually saw sun, and away from the center of the nuclear tragedy. I did not stay on for the second hour as my interest level dropped. But I will say I was sooo relieved that the two Japanese dogs were saved! Hope they were adopted and flown to safety. The ratings for 360 have been very impressive--especially the win over Bill O'Reilly, but the reporting from Japan has been quite good. I'm not very interested in the Royals, but I do remember watching AC/Quest/Becky Anderson covering some kind of royal event together a few years ago and it was good, but if AC weren't involved in this, I wouldn't bother.
" live seven hour broadcast on 4/29, the day of the wedding, from 7 PM to 2AM"
Are those times EDT or London time, or what? @judy - the dogs are receiving vet care in Japan. A little early to hope that they are adopted. They had ID tags and might still have a family who loves them and would like to be reunited. 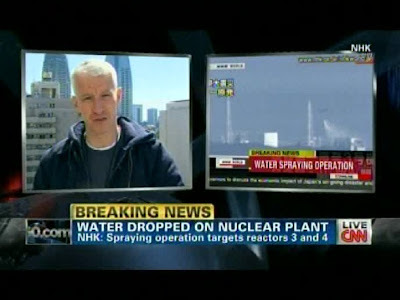 @anon 8:58 unfortunately the article didn't say but I assume EDT since it will be replacing AC360 for the night. I'm looking forward to the wedding so having AC there will be cool. Not so crazy about Piers..... blah. I also agree that the times are weird. I think the wedding begins about 6am est time. I know that it will be on BBCAmerica but not sure if CNN will carry the actual wedding?? I guess we'll find out. My name is Rachel, and I am a UK citizen living in Tokyo. I posted a comment several days ago but left it completely anonymous. Before I go any further I would like to tell you a little about myself: I have lived in Japan for almost 20 years and I am a teacher. I have friends of many different nationalities and in a variety of jobs here. I am not claiming to speak for the whole of Tokyo or all the foreign residents in Tokyo, I can only tell you how I and the people I know feel. 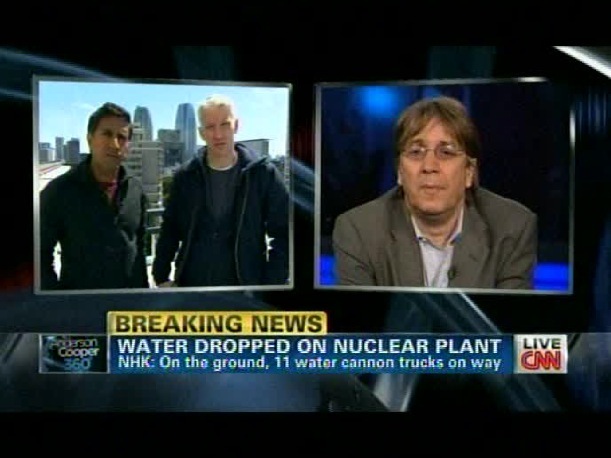 I am very annoyed with CNN for its shrill scare-mongering and willingness to give the dreadful Mr. Walsh any airtime. I am also annoyed with the whole of 360. I have been watching the program for several years and I have become frustrated with the bubble they get themselves in sometimes when they repeatedly broadcast one person's views. They have done it with David Gergen, they did it in New Orleans with Billy Nungesser, they have done it recently with Fouad Adjami (apologies if I have the spellings wrong) and now it is happening with Jim Walsh. 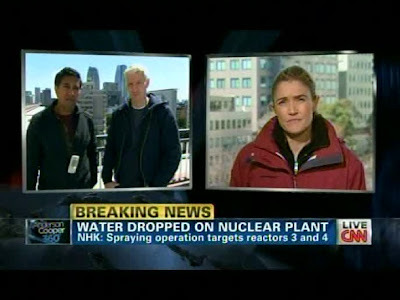 In other areas of the media I have seen many other people speaking about the nuclear power stations. Some are professors, some are government scientists, but I am not sure exactly what qualifies Mr. Walsh to speak at such length and with such authority, especially as I said before, his comments and especially the tone of hectoring and panic do not agree with any other comment I have heard, and indeed do not agree with what the US, UK and other embassies in Tokyo are saying. Thank goodness for the other professor who was far more measured later in the program. May I keep 360 honest? The program today (evening, 16th in the US, morning, 17th in Japan) started with pictures that, according to Anderson Cooper, they had just received from NHK, the national broadcaster here. I believed from what he said that these were the most recent pictures. However, on the right side of the screen, in Japanese, it clearly said that the pictures were from the afternoon; it was 11am in Japan. These pictures were not from today, at the very least, and they did not tell you that. 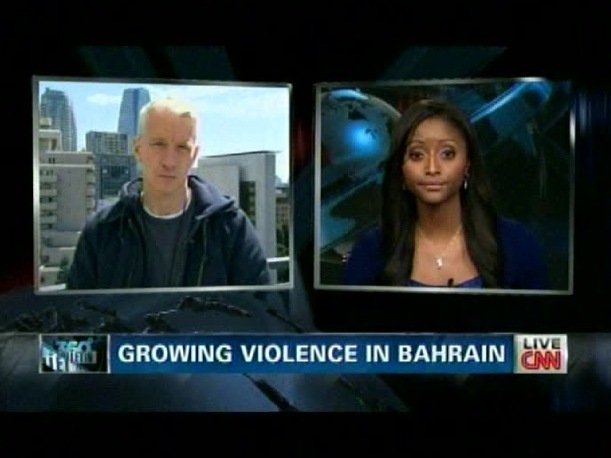 Next, this credibility gap that Anderson and others are talking about. Personally, I don't assume that any government pronouncement is a completely transparent, full disclosure of all the facts, but I do believe we are being told the information we need. Between the Japanese government and the various embassy websites, there is a lot of information out there. If anything, 360 and others are not gathering their facts. I can get them, why can't they? I was horrified to hear Mr. Walsh criticise the Japanese government to the point where I believe I heard him suggest that the Japanese people object en masse in some way to how the government is behaving. My goodness, is this what the program has come to? How irresponsible is that? Shame on them all. I live in one of Tokyo's 23 wards, in the south-west of the city. Yesterday I went into Shibuya, right in the center of Tokyo. It certainly was much quieter than usual, and some train lines are not working 100%. There is a somber mood and all the aftershocks have rattled us physically and emotionally. (The masks you may see a lot of people wearing are common here, to protect people against the pollen in the air.) However, everyone is calm. The only emotional people I saw were groups of university students standing outside Shibuya station, collecting money for the tsunami victims in Miyagi prefecture. They were hoarse from shouting to passers-by and appealing for donations, and some were crying. A lot of foreign residents of Tokyo are leaving, either to travel to western Japan (Osaka and beyond) or other countries. A lot of international schools closed early for spring break and there has been a mass exodus. These schools foster a deliberate and strong community spirit and so it is understandable that once people started to leave a lot would follow. 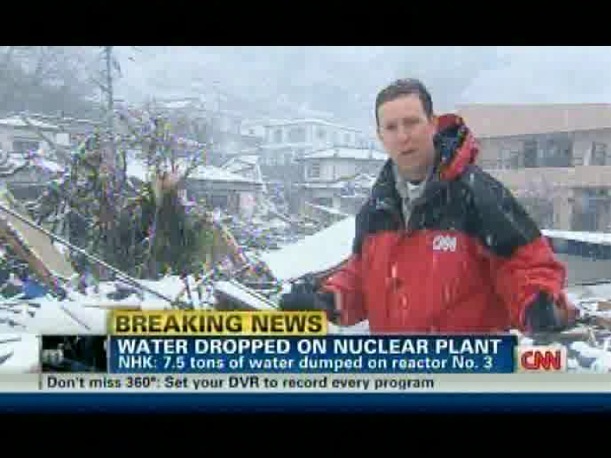 I also have to tell you, I have friends who have left Tokyo, not because they wanted to, but because their relatives outside Japan watched exactly the kind of shrill reports that CNN and others are putting out and have become so stressed that the only way to calm their relatives was to leave the city. Does that seem right to you? 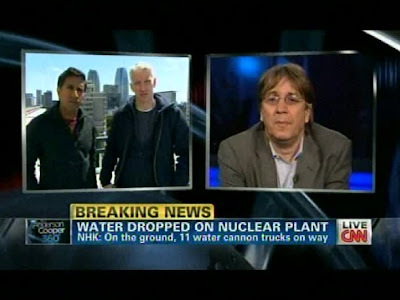 I thought Anderson was rude to the government spokesman, as I sometimes have found him rude to others. It is a fine line between a robust interview and shouting someone down, and sometimes I think he is on the wrong side of that line. He doesn't treat his favorite experts in the same way. Mr. Walsh's obnoxious response to the government spokesman's comments was just the last straw for me. How dare he (or anyone) assume what we are thinking on Tokyo? 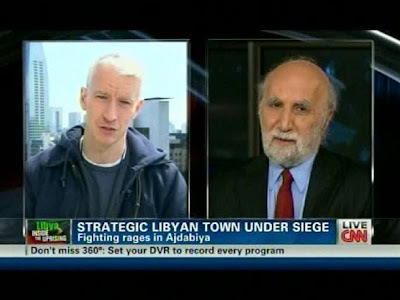 Can he and Anderson maybe understand also that there are cultural differences going on here? A Japanese person (even speaking English for your benefit) will not necessarily answer questions in the same way. You're not in Kansas anymore, Toto. Again, as in my last comment, I must say, the people of Miyagi, especially, but in the surrounding prefectures also, need help. This is a serious, extremely anxiety-inducing story, believe me, I think we all get that. But the people there have nothing. They don't know if their family members and friends are OK. They don't have enough water or food and they are sheltering in schools etc. Many of them have lost everything. They need help and they need the media to not forget them. Finally, before anyone posts comments regarding Anderson and health concerns: first, a friend of mine used to have a radiation counter on his watch and someone suggested to him that he gave one to his worst enemy. I'm not sure just having one on your person is a helpful measure. Second, I know he is sniffing a lot. It's hayfever season now; the Japanese cedar pollen is awful and a sunny, windy day is the worst possible day for the pollen to be in the air. I am sorry this is such a long post. If you have read this far, thank you very much! Please keep the people in Miyagi and Fukushima in your prayers.